Welcome to my SimplyFun website. 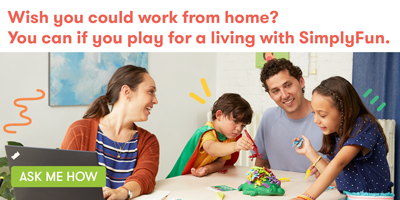 As a SimplyFun Independent Consultant, I help families discover a new love of learning by sharing SimplyFun games. Whether it’s math, language, science or life skills, I know I’m making a difference for kids and contributing to family life. Best of all, working with SimplyFun gives me the flexibility I need.